Easy to fit, and seem to be up to Shimano's high standards. Can't comment our on performance or durability yet, but these depend on how the jockey wheels are maintained. These are not suitable replacements, unfortunately the direct replacements are not available. Can I use these with a RD-M510? Unfortunately these are not the direct replacement and we have never test fitted them. Are these compatible with Deore XT RD XT M750 9S long cage? 1 can you suggest a substitute, Shimano or third party one? 2 in mine the central metal discs have come out and I can't get them back - is a special tool needed, or could a bike shop deal with it? As you derailleur is fairly old, it would be hard to say whether they fit or not, as there is not much information about it. In terms of your second question, a bike shop should be able to sort that for you without an issue. xtr m980 10 speed compatible? hi, are these compatible with xtr 10 speed? xtr ones are a bit pricey and wondered if these will work? These are not the direct replacement but should work. 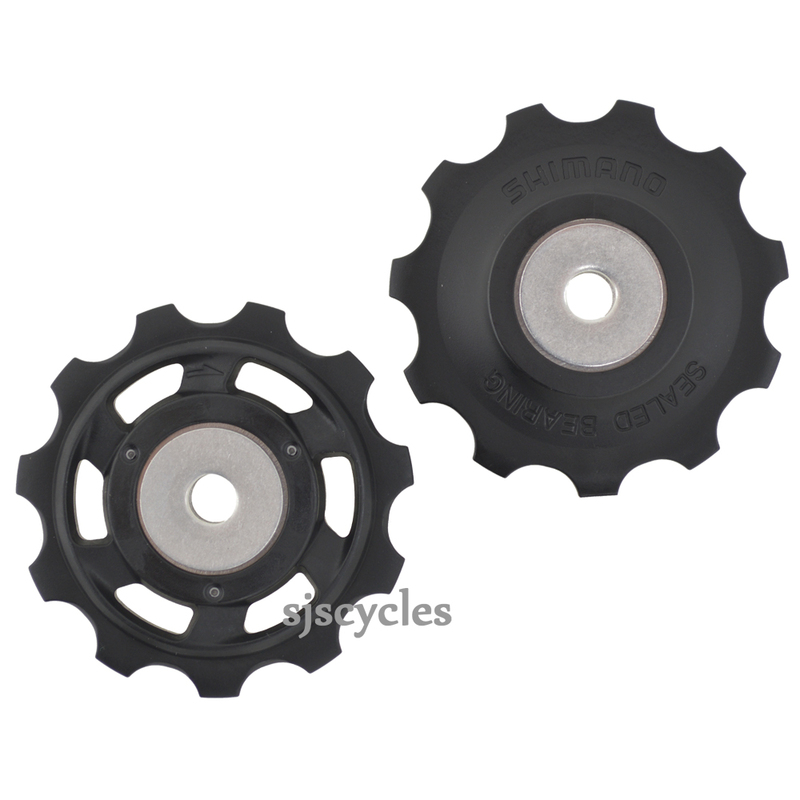 Are these compatible with an xt rear derailleur m786? Looking to rebuild an old but useable xt m786 rear derailleur, had used metal aftermarket metal wheels in it but slightly more louder than stock wheels and would like to return to original parts. Yes these are the replacement for your derailleur. Can I use this with my see rd? Although these are slightly different to the original ones for your derailleur these will serve as suitable replacements. These jockey wheels would indeed be suitable for use with the RD-M772 rear derailleur as well.